Maybe your drain is clogged, or you accidentally dropped something, and it cracked the sink. Whatever your sink problem may be, we are the solution! wWe know sink problems vary and range from broken garbage disposals to leaky faucets. That is why we stay trained in all manner and makes of kitchen and bath sink components. Faucets are essential parts of your plumbing, and it is crucial that they are fixed correctly and quickly. 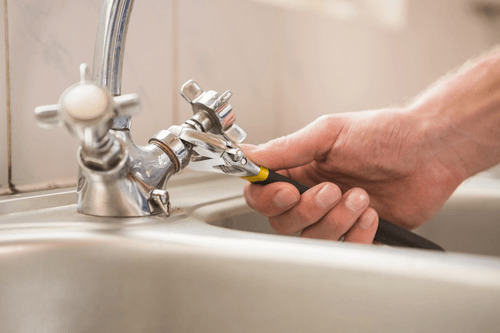 Our professional plumbers are fully licensed, insured and bonded to work in your home or office, providing you with quality service every time. You deserve a plumber that is efficient and knowledgeable. Kitchen and bathroom faucets get more use than you may realize and can fail at any time for seemingly any reason. We know you need your kitchen and bathroom to be up and running in tip-top condition the moment a problem is discovered. For quality, fast service, contact us today for your kitchen or bath faucet repair. Contact John’s Electric Service at (205) 426-0583 or use or online service request form to reach out to us regarding kitchen and bath faucet repair.